A dynamic adidas print packs new energy into a daily basic. 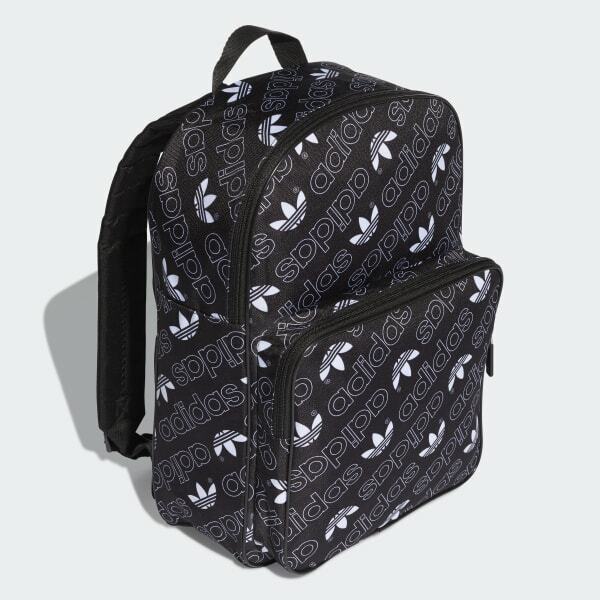 Taking a new angle on adidas style, this backpack shows off an invigorating linear Trefoil logo print. It's designed for daily use, with a slip-in laptop sleeve and padded shoulder straps. An extra front pocket keeps smaller items handy.